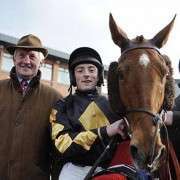 This ten year old French horse is owned by Andrew L Cohen and trained by Philip Hobbs and this will be his second attempt at the Grand National in three years having been pulled up in 2011 under jockey Richard Johnson and not getting an entry in either 2012 or 2013. 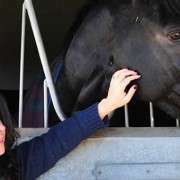 After he ran at Sandown in 2011 he was pulled up after a suspected burst blood vessel which put him out for the season. 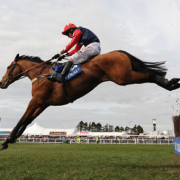 He returned once in February 2013 and did well, placing 4th at Kempton but was not run again for the season despite getting an entry into the 2013 National. 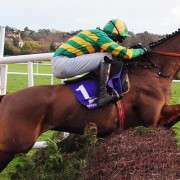 He was handed 10-10 for that renewal which should have suited him but he was withdrawn on the week of the Grand National due to moderate scope. 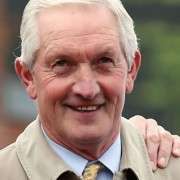 He returned back to racing properly for the 2013/14 season and has had three runs so far, improving in each, the last of which was Cheltenham in January 2014. 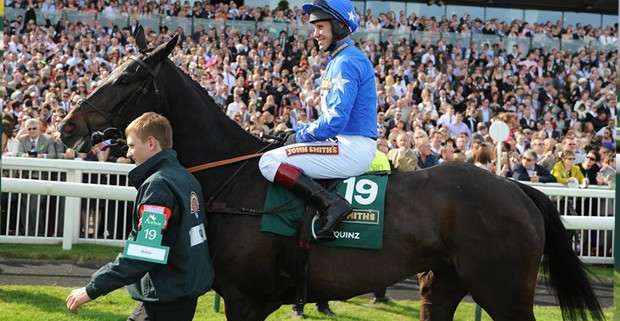 Quinz is an interesting horse because he was on a real roll in 2010 winning three from his four starts before being pulled up in the National where he had gone off at as little as 14/1. 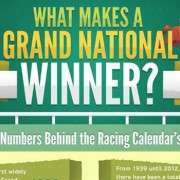 At 10-years-old he has had 14 chase starts with three wins and third place. 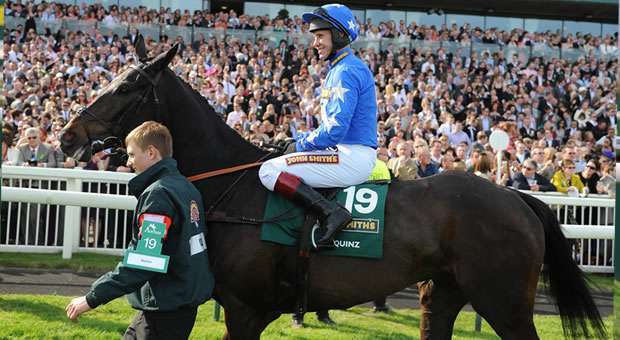 He's a solid horse but with so few races over the last couple of years and still not quite back to the form of his earlier years it could be difficult for him in 2014.